Friday, 7 July at the UN Headquarters in New York more than 120 countries adopted a landmark treaty to ban nuclear weapons. All nine nuclear-armed states, and all NATO members except the Netherlands, had refused to participate in the negotiations. The treaty prohibits the possession, development, use or threat of use of nuclear weapons and provides for nuclear weapons states to become parties by either a “destroy and join” or “join and destroy” plan for the verifiable elimination of their nuclear weapons. It also explicitly prohibits the stationing of nuclear weapons on the territory of non-nuclear weapons states. The Canadian position on the treaty was, in part, influenced by a U.S. memo from last year that strongly encouraged all NATO allies to vote against negotiations. Andrew Leslie, Parliamentary Secretary to the Minister of Foreign Affairs, went so far as to call the treaty negotiations “premature and ineffective” last month in Parliament. 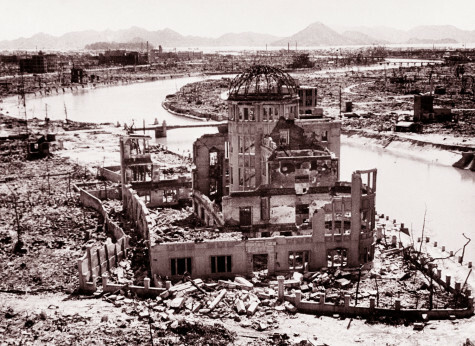 After decades of empty platitudes and inaction on the part of the Canadian government, it’s hard to believe that any forward movement on nuclear disarmament and non-proliferation can be considered ‘premature’. Despite the refusal of nuclear states and their strategic allies to participate, the treaty represents an historic step forward in the ongoing push for nuclear disarmament, marking a “new, reforming spirit in global nuclear affairs.” Some also see the treaty as a powerful sign that the international community will not be intimidated by nuclear powers. In 1978 Prime Minister Pierre Elliott Trudeau told the UN that “we must impart a fresh momentum to the lagging process of disarmament.” In 2017, his son, Prime Minister Justin Trudeau, had an unparalleled opportunity to help do just that. Instead Canada was not even at the negotiating table. To learn more about the future of nuclear disarmament, join us at the Group of 78 Policy Conference, “Getting to Nuclear Zero: Building Common Security for a Post-Mad World,” on September 22nd. For an important discussion of what parliamentarians can do to achieve a nuclear-free world, see the “Parliamentary Action Plan for a Nuclear-Weapons-Free World: 2017-2020”.